sterling silver jewellery york fashion jewellery Sterling Silver Birthstone Jewellery Sterling silver jewellery range of Fashion and Danon jewellery. Due to popular demand we have curated a range of jewellery featuring precious and semi-precious birthstone gemstones. According to crystal healers, the special properties attributed to a stone are increased during the relevant month. Birthstone jewellery is a timeless present and we have a wide range of gemstone jewellery in both traditional and contemporary styles that you're sure to love. 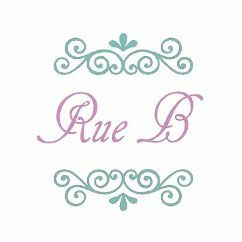 At Rue B, we aim to include pieces to fit every style, so you're sure to find something to your taste. Here you'll find delicate everyday pieces as well as chunkier, more androgynous designs. All pendants are sold on an 18" silver chain as standard unless otherwise specified in your order. 16"-20" chains are available and you ahave the option the buy the pendant alone if you already have a suitable chain in your own jewellery collection. Every piece of our sterling silver collection is hallmarked 925, and comes with the option of being packed into one of our wide range of gift boxes to suit every budget. Free delivery option on all orders.